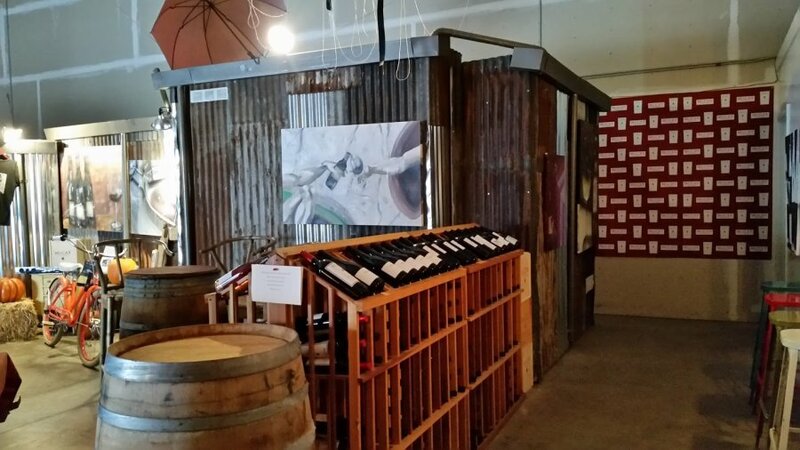 McCay Cellars was recommended by the Lodi Wine Association and we really had no idea what to expect when we pulled up. The winery is located in a small industrial area which might put a few people off who are looking for the palatial estate with huge grounds, picnic facilities etc… Small wineries in humble buildings often produce some of the best wines though, as we learned in our previous trip to Lodi, several years before. 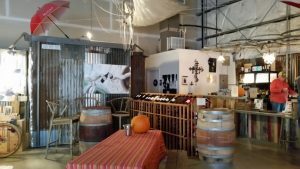 Just a few days after we visited, McCay was scheduled to move into a new tasting room in Downtown Lodi so the industrial charm of the winery room is likely gone but I’m sure it’s been supplanted by a nicer facility to showcase the wines and these wines deserve a special showcase. Alan, the tasting room manager took us through a dizzying array of wines with each getting better than the last…quite a feat because the first one was really good. McCay makes roughly 4,500 case of wine per year and Michael McCay, the Winemaker/Financial Planner likes to keep the production small so he can maintain control of the product. 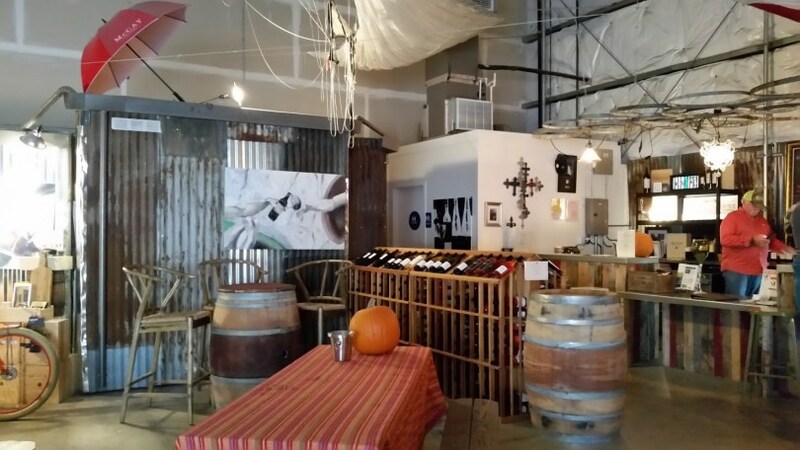 He makes what he likes so the majority of what he makes are Zinfandels and Rhone Varietals and unusual for Lodi, uses 100% native yeast fermentation. Native yeast fermentation means that instead of introducing yeast into the neo-nascent wine, the wine is fermented by the yeast that is already on the fruit when it arrives to be crushed. After a Chenin Blanc Taste, admittedly not my favorite white wine although this one was pretty good, we had two different Viogniers, a 2015 and a 2016. Both had nice acidity which is rare for most California Viogniers. Ken liked the 2015 but Karen liked the 2016. Both were quite good and neither possessed that overly perfumed aroma so often associated with Viognier when grown in a hot a climate. Next came mind blower number one, a Cinsault made from 132 year old vines, which Alan indicated are the oldest known Cinsault vines on the planet. In California, Cinsault is rarely grown and even when it is, it’s usually used in Rhone style blends. It’s far less rarely used as a Varietal. It was everything you want in an old vine wine, complex, smooth and intense. It’s rare that we buy wines when we are blogging because we have a perpetual storage problem. Our temperature controlled wine closet only holds about 250 bottles which seemed like a lot when we first built it. Now…not so much. We usually have six to ten cases at any given time sitting out in the house. It’s not really a problem in the winter but in the summer our house can get pretty warm because we don’t have air conditioning (truth be told, we rarely need it), but on the days it does get hot, we’re scrambling to find the coolest corners or closets. Anyway, to make a short story long which apparently I’ve done, we loved the Cinsault and picked up a bottle. It was followed by a Rhone style blend which was also excellent. Next, came the highlight…the Zinfandels…six of them. To be honest, I’m not as big a fan of Zin as I was years ago. My tastes have changed, much to Karen’s chagrin because she still enjoys them. If all Zins tastes like McCay Cellars Zins though, I’d become a huge fan all over again. We started with the Faith Zinfandel, crafted with fruit from 102 year old vines. It was spectacular…quite possibly the best Zinfandel I’ve ever had. It was followed by Jupiter which was also very good. Karen preferred it because it had just a little more fruit than the Faith. The Trulux Zinfandel came next, which Alan indicated was the flagship wine of McCay. It’s probably getting a little trite to say but it was very good as well, being the smoothest of the three so far, although I felt the old Vine Faith had more complexity. Next up, the Rous Zinfandel, made with fruit from 108 year old vines…and what a shock…it was good too. It was perhaps the most fruit forward of the Zins that we tried but it was by no means, one of the overly sweet, jammy Zins often produced in California. It was followed by the Bonotto (made from mere 77 year old vines) and then the Contention Zin. The Contention was really special, having spent 48 months in the barrel which imparted a real smoothness. We also tasted a Tempranillo…good…and Petite Sirah….also good…and a blend of Zinfandel, Tempranillo and Petite Sirah called Bruella Road. Guess what…they were good too. I wish I had bought a bottle of the Bruella Rd. because I found out later that weekend that my grandparents once owned a house on Bruella Rd., in the little town of Victor. Candidly, I’m a little irritated with Mr. MacCay because it gets a little bit boring writing “Good”, “Special” or “Spectacular” after every wine and it probably gets a little tiresome reading it as well. Seriously, if you’re in the Lodi area and you want to wine taste, this is one of the “must visit” wineries. 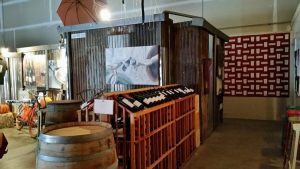 Not only are the wines exceptional (see that…I worked in a different adjective), but the staff is very friendly and the prices are very reasonable for wines of this quality.